On The River Ping (Pong)! | The Lola Boys Do The East ! On The River Ping (Pong)! After my hideous Russian experience, Andrew and I made our way through Chinatown to the riverbank. There I met a monk in need of spiritual guidance, and, having consumed more spirits then most, I felt I was the perfect candidate to advise. 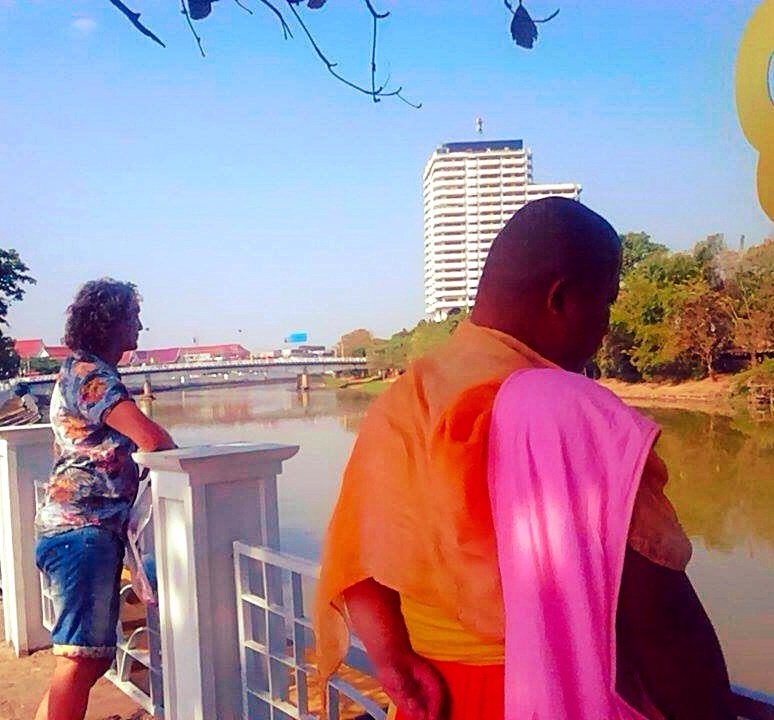 Sadly he would not listen – and insisted pink and orange robes can be worn together, especially if your a novice Buddhist monk! There’s non- judgement for you! Or rather – no judgement! His demeanour, however, was both charming and enviable. I may have to join a monastery on the morrow ……… As long as I can teem my pink robe with a little black hem. Otherwise what would Lola say?……..
Where are you? I am excited to share this city with you!